Update Mar 9, 2016: Nvidia have issued a new version of the 364.51 driver which fixes the previous issues but may have introduced some new ones. 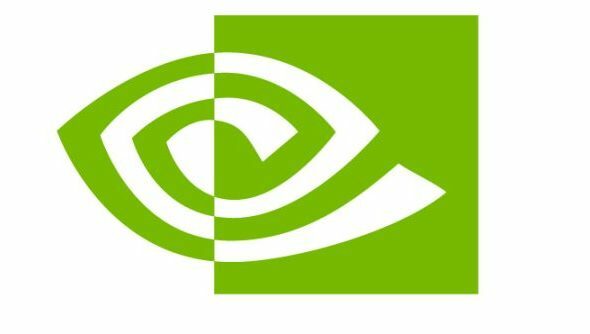 After yesterday’s problems with their latest driver, Nvidia first pulled it from download and automatic update, and have now issued a new version. It’s marked as beta, so it won’t auto-download via Geforce Experience unless you’ve opted-in, but reports are that it’s fixed the multi-monitor problem. However, those with dual-card SLI setups are reporting insta-crashes when they attempt to enable it. If it makes you feel better, the 2016’s best PC games all ran on the older driver anyway. You can get the driver from the download page, or through Geforce Experience if you’ve enabled beta updates. It should give you a few extra frames in The Division, as well as Hitman, Need for Speed, Ashes of the Singularity and Rise of the Tomb Raider. Normally I’d say definitely keep yourself up-to-date, but given it’s a beta driver and the problems folks have already experienced, unless you’re really interested in a bit of extra performance in those games, I’d hold off. There’s a thread on Nvidia’s Redditthat suggests the new version may have some problems with SLI, with varying reports from different folks. Some are saying it’s a problem with Nvidia, while others say the outside program being used to remove drivers before install is causing it. There’s no definite way to know how your setup will react without experimenting, but unless you’re willing to spend a couple of hours fixing it when it goes wrong, just wait for the non-beta version. Original Story Mar 8, 2016:Bit of a PSA for you here: the latest Nvidia driver is causing some serious problems on various machines, according to users across the web. On installing 364.47 – which those of you using the Geforce Experience tool have likely already been prompted to do – some are reporting a crash followed by several reboots all ending in black screens. System restore or safe mode is the only way to get out of this if it’s already happened. Nvidia are aware of the issue and are looking into fixes. They say that multi-monitor setups seem to be the most commonly affected, though I’ve seen complaints from laptop users as well. There’s also this thread on the Nvidia Reddit with various single-monitor users reporting problems. Disconnecting one of your monitors before installing may help, but Nvidia also mention that doing a clean install via the custom installation option may be better than using express. If you’ve already installed and are now locked out, a system restore should set you right. Alternatively, booting into safe mode and navigating to the device manager, then uninstalling or rolling back the driver from there should let you load up and grab an older version. This support thread has the latest updates from Nvidia who are, as you’d hope, trying to get this fixed. For now, I’d recommend just not downloading or installing them until Nvidia issue the all-clear. If you’re worried about performance on The Division today, I managed to play some last night with zero problems on the last driver, though I’m sitting on a fairly meaty 980TI, so your mileage with older cards may vary. Most folks I saw also praised its good performance though, so it’s unlikely you’ll encounter issues.